With over 25 years of heating and plumbing experience you could say Turnkey Plumbing and Heating has been there, done it and got the plumbing t-shirt! 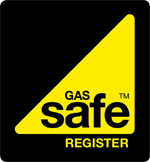 All of our plumbing and heating engineers are qualified to complete all types of residential heating and plumbing work, and are registered to certify all their work under the Gas Safe Register or the CORGI benchmark scheme (plumbing, electrical circuitry, ventilation and energy efficiency). These policies aren’t a gimmick, or part of a well thought out marketing strategy. Turnkey Plumbing & Heating look after their customers because our plumbing and heating engineers own the business, and customer satisfaction is an essential part of who we are. Furthermore, as active members of the communities in St Albans, Harpenden and Radlett it makes sense for us to look out for and look after our neighbours. To find out more about our humble beginnings, then please select 'Company History', or alternatively if you'd like to know more about the individuals who work for Turnkey Plumbing & Heating then select 'Our People'.